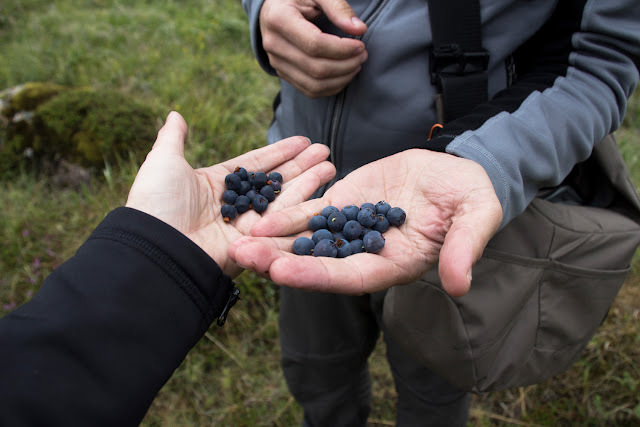 Several times when we traveled through Iceland we saw the blue berry bushes and were twitching inside: There were no berries on them. Well, of course we were too early in the season then. This year, though, when traveling in August, we got the whole deal. 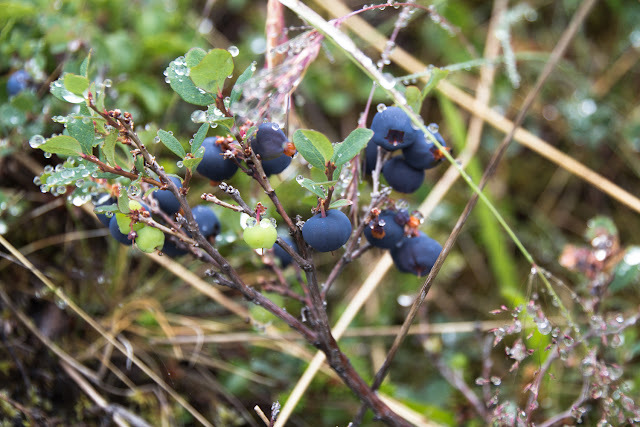 Blue berries in more places than you can look. I have to admit, we stuffed ourselves silly. More than once we really didn't want to stop at all, let alone pick a berry, or two. But those mean little things jump right in your way and lure you over: Pick me, eat me, yumm, yumm. Well, we just weren't strong enough. We just had to eat them. Some. A little anyways. Here ist a picture from our first encounter with the bushes this vacation.